Whenever a chronic pain patient reads that they must exercise — and through that pain — it’s not only difficult, and of course painful but we can so easily overdo it, which then leads to a painful flare-up, which can then lead to a set-back. Both of which make the odds of us returning to and regularly practicing any form of movement all the more slender. It’s incredibly disheartening when you are trying so hard to manage your condition and chronic pain but it seems which ever way you turn or whatever methods you try, makes things worse, not better. In the reader’s survey, so many of you asked how it’s possible to do any kind of exercise with such severe pain, also for ways to relax and reduce that pain which are cheap, and herein lies one answer to both those challenges. However, just as each of us are unique in our individual symptoms, conditions, and pain, what heals and helps us manage and cope is also is unique. So although I truly hope from the tips of my painful feet to the top of my princess’ crown that this does help you, I will intersperse alternatives to the offering at the end of this post among other topics, in honour of this. Exercise may be crucial for maintaining joint mobility, reducing tight muscles and stiffness, and keeping your body in the best condition possible but it can also be a monumental task when in constant pain. Especially when that pain is fused with a cornucopia of other difficult symptoms. 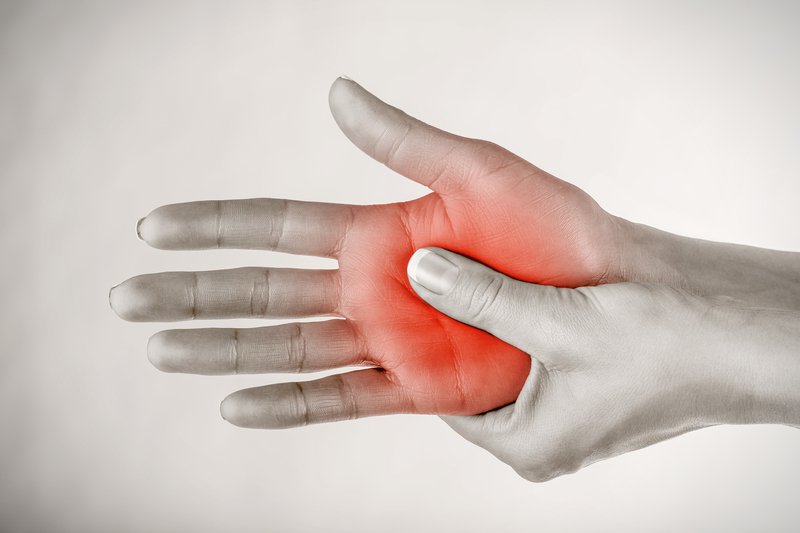 It’s natural to avoid an activity, especially when you know it will hurt and make your pain worse or you’re also feeling tired and sick. Yet forcing ourselves through the pain and trying to do exercise that is far too demanding for us is also a recipe for disaster. Exceeding pacing limitations ensures we pay severely for it later, which of course makes anyone with pain reluctant to try it again. No one wants to spend their lives in bed, living with pain is bad enough without additional flares. 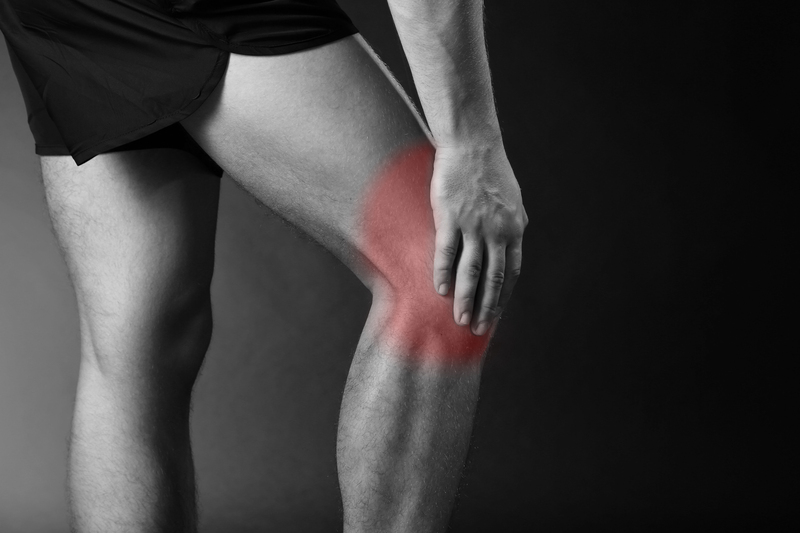 So what can you do to maintain or improve mobility when the pain never ends? Forcing ourselves through #chronicpain with exercise that is far too demanding only causes flares. One difficulty experienced by so many who live with chronic pain is balancing activity and rest. Some pain patients rest almost all the time. It may have begun when their pain did, thinking that rest would help them heal, as this was once the standard advice from doctors, especially following injury. However, just as the pain continued — or likely increased — this has then led to their body becoming so de-conditioned that movement of any kind hurts, not just because of the pain itself but also as limitations are now so microscopic that any attempts at exercise open the pain gates far more swiftly — meaning they are able to do less and less. It’s heartbreaking (I was bedridden for years) but doesn’t have to be this way. When muscles that have shortened and are tight and tense this leads to declined strength on top of chronic pain, which only adds to that pain. But without the stamina to move for even short periods of time, everything becomes harder, and perhaps more crucially, also too painful to do. It’s also far easier to induce a flare-up. If this sounds familiar, do not lose hope. You can regain some of your mobility, increase strength, and even lessen your pain though you do not have to only consider conventional exercise. In fact, even the most humble of ‘mindful movements’ can have a profound effect on both your pain and wellbeing but it is vital to start small, and continue slowly and gently. Mindful movement is different to conventional exercise and far better suited to those who live with pain. Many pain patients are understandably put off when they hear the word ‘exercise’, which is partly why I’m making this offering to you now, because when you have a complicated pain condition ‘exercise’ does not need to be punishing work-outs, for extended periods of time or even conventional exercise at all. The opposite is not only more helpful and less painful but because of this also helps you to be able to do it consistently, thereby delivering far more benefits. Even extremely de-conditioned bodies can be strengthened and without the punishing physiotherapy or conventional exercise that you have perhaps been advised to do. Those who have lived with pain for many years may have an increasingly low activity threshold but it can be increased using gentle, mindful movement, while using pacing techniques. By ensuring you do not exceed your limitations, and build-up slowly the benefits will reduce the pain of moving, and because once your body is a little stronger — a little more used to these gentle movements — the after-effects actually help manage and reduce your ‘normal’ pain levels. When you have #chronicpain exercise does not need to be conventional exercise at all. The healing sequence at the end of the piece is is an ideal example as it is designed for even the most debilitated pain patients. It’s wonderful at easing pain, strengthening your body, helping you be and feel more supple and less tight, stiff and tense. Alternatively, if you prefer it, a few minutes of stretching can also have profound effects on how you feel, increasing joint mobility, and reducing some of the pain, tension, and stiffness. Scroll down for other alternatives; more will follow. The flip side of those who rest too much are the people who force themselves far past their limits to try and ‘keep up’ with everything that needs to be done, pushing on despite their pain only to collapse in far more vicious pain at the day’s end. This is actually far more damaging in the longterm. Goals may be accomplished but at great expense, sometimes even taking days or weeks to recover. Recovery is slow and depressing. These people are in a vicious cycle of “feel better — push yourself — more pain — collapse”. This is where the “Boom Bust Cycle” applies. Click this link to read more about Pacing for Pain Management, which applies to every activity, not only physical therapy or exercise. One of the most important things for every pain patient to prevent further debilitation and de-conditioning is to move the body. Of course this may seem unthinkable when you have severe pain, even impossible. For many years I could not bare weight, and doing so would worsen rather than improve things. However, the medical advice used to lean far more towards rest and recovery than movement or exercise. In fact, when CRPS initially began in my foot, I was told by a medical professional to have a piece of wood nailed to the end of the bed, where upon I would ‘rest’ my burning toots, not move it, et voilla! Such was the lunacy of CRPS info over a decade ago. Of course I’ve never been too good at following such restrictive orders, besides, I was 22 and had a career to begin. So I would hobble to the computer and write… all. the. time. My dear foot, thrice its natural size would be propped up under the desk with its own personal cushions, burning away in that relentless I-can’t-believe-such-a-condition-exists kind of way. I did also ignore the ‘do not exercise’ advice, and honestly, I think it was that which saved my albeit limited mobility. Dystonia used to be far more common in CRPS simply because the limbs were not moved, they became dystonic, which is truly heart-wrentching to witness, much less live. The positions at the end are one of the main tools I used to improve my own mobility, which after further trauma and spreading, became almost non-existent. Moving your body regularly, even if it is quite literally, a minute a day, is far finer than a mammoth attempt or session once a week. The latter would not only put you at risk of a painful flare-up but even injury as well. Of course, it’s far from easy moving at all, simply — and I use that word loosely — to carry out the most necessary of activities. Whatever you can manage on a routine basis – can boost mood, ease pain, improve sleep, reduce fatigue, improve circulation and strengthen your heart. But be careful: Sometimes exercise can be counterproductive. Many patients are so fatigued, that it makes it difficult to exercise, another reason why the sequence at the end is so beneficial. With any movement, whether walking, standing, practicing water-physiotherapy — which is especially beneficial (I’ll go deeper into this in its own post), standing or seated t’ai chi, Chi Kung/Qi Gong, or therapeutic yoga in your bed, always start small and build up gradually. 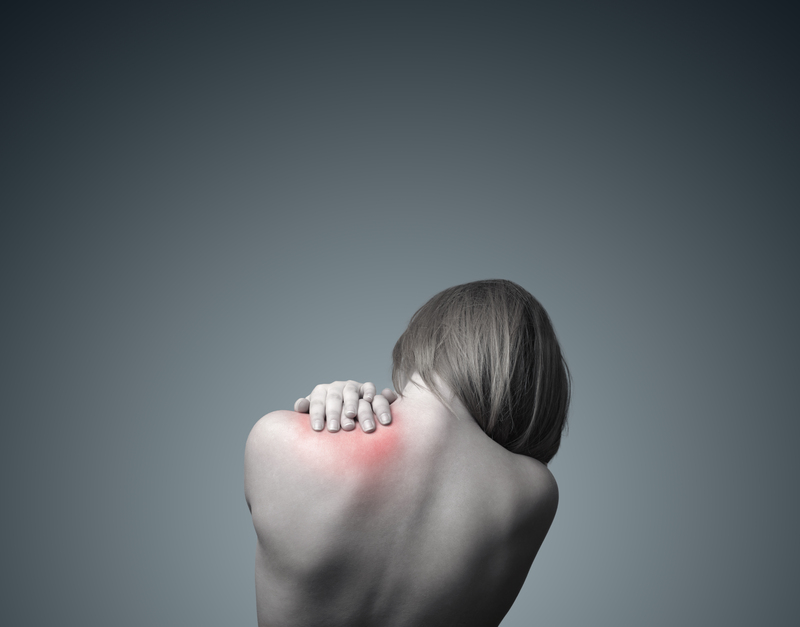 If it is possible with the help of a pain management specialist or physical therapist who understands chronic pain, that’s wonderful, however there is much you can do yourself if money doesn’t allow this. Find out your personal limitations using the techniques in this post but do consult your doctor before starting or changing any ‘exercise’ program. Although chronic pain and illness is of course stressful, additional stress can make our pain and other symptoms far worse, causing a ‘wind up’ of the pain and opening of the pain gates. Stressful thoughts magnify this effect and create tension, which of course increases pain. Using techniques to relax your body also calms your mind but the following sequence (though each can be done on its own), fuses relaxation and gentle movement. Consequently giving you both. 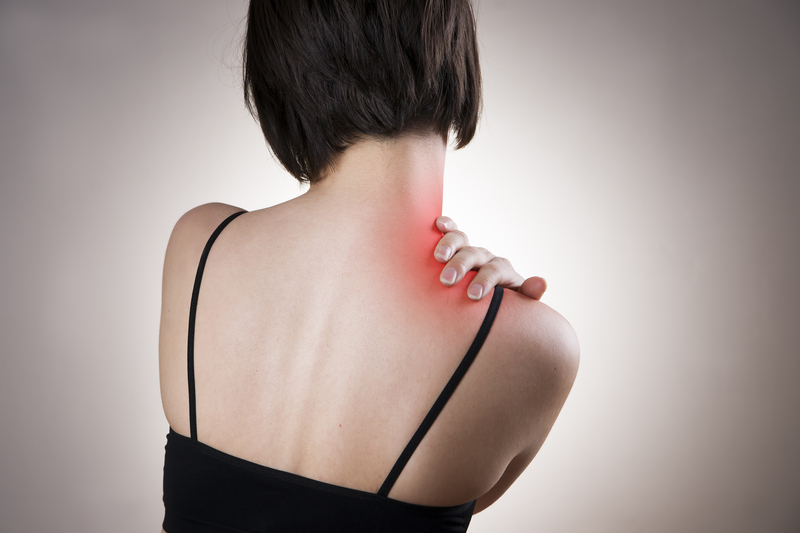 It’s soothing, calming to an overactive nervous system and helps condition your body while lessening your pain. Although this form of mindful movement is almost entirely static — with you relaxing into the poses, as opposed to holding the poses — it’s incredibly healing and — perhaps more crucially — pain-reducing. It’s now part of my daily pain management, and sharing this because I hope you derive the same, or even finer benefits with this practice. The name itself may be a little misleading — after all, this is more like a relaxation technique than exercise but the benefits of this practice extend far deeper than stretching, and are far less painful than physiotherapy or many of the other recommendations for pain patients. 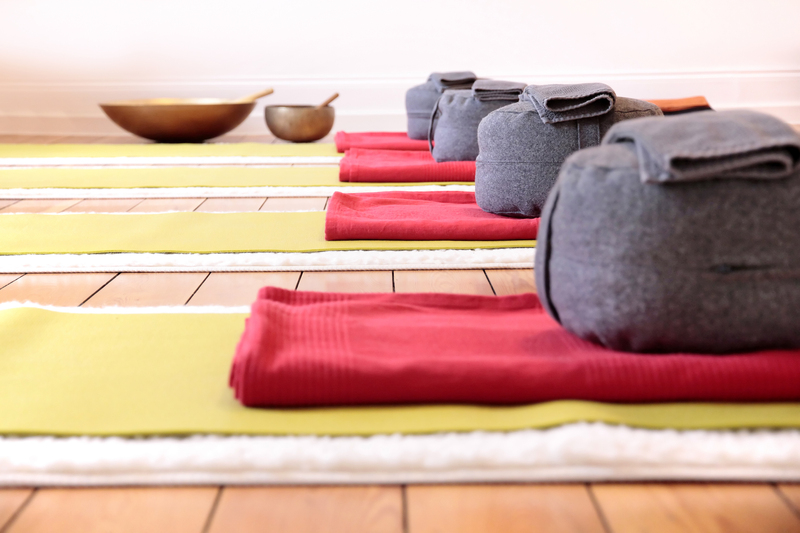 Restorative Yoga or Therapeutic is a restful, passive form of yoga designed to open the body deeply but gently. This is important so that you do not exceed your body’s limitations, flare, or of course, increase your pain levels, instead of reducing them. The longterm benefits are also truly to be embraced. It promotes deep relaxation, induces a feeling of profound peacefulness, which of course helps you to cope, and allows the body and mind to move into stillness, leaving you feeling refreshed, rested, and calm. It also activates the parasympathetic wing of the nervous system, which is all the more vital when our overactive sympathetic wing is calling all the shots, soothing your entire being. The stillness allows the body to drop even the deepest layers of tension. Because the poses use props — like blankets and pillows — to support your body, the right support in a pose will make it feel effortless, so your body can fully let go, unlike during more strenuous workouts that so often result in painful flare-ups. To begin strengthening muscles in patients who have perhaps been bedridden for a prolonged period of time it’s perhaps the finest option of all. Though if you disagree, I’ll be adding alternatives in subsequent posts. This passive yoga is so gentle but laden with healing benefits for your pained-up body, lengthening and increasing oxygen in your muscles as you breath deeply and relax into it. When supported with props, the body relaxes and opens, releasing tension in the muscles and the mind. Done in sequence, a restorative yoga practice will bring your whole body into a relaxed state, and allow your mind to calm too. 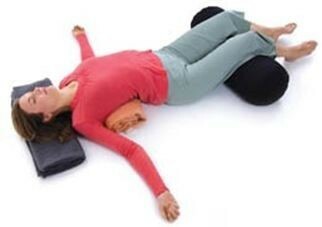 Restorative yoga turns on the healing relaxation response by combining gentle, passive poses with conscious, mindful breathing. Below you’ll see some favourite positions that may be practiced on their own or in a sequence, bringing great relief from chronic pain. You can stay in a restorative pose for a few minutes or even longer, with many advocates relaxing into each for 10-20 minutes. Breathe deeply into your body, letting your breath find its own natural depth and rhythm. Be aware of any addition tension and resistance to the pain, which is a completely natural response but as you rest in these poses, allow your body to relax just a little more. Also always ensure that you have enough support. You may need to ask a loved-one to assist but none of these poses should ever increase your pain. If they do it is often as another bolster, pillow or blanket is needed. 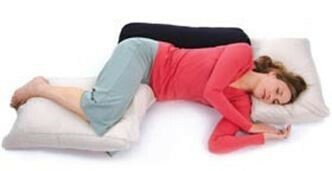 Nesting pose (see image above), creates a sense of security and nurturing. It may also be a position you are comfortable sleeping in, making it an excellent choice for helping with insomnia or other difficulties sleeping because of chronic pain. Lie on your side, with your legs bent and drawn in toward your belly. Rest your head on a pillow, and place another pillow or a bolster between your knees. Rest your arms in whatever position feels most comfortable. You can also add another bolster or pillow behind your back for an extra sense of support. Rest into the pose, allowing your breath to find its own natural rhythm, observing each inhalation and exhalation as it moves through the body. Take comfort in the simplicity and effortlessness of this action. The supported bound angle pose eases pain and releases tension in the belly, chest, and shoulders, which is especially useful if you find these taught muscles restrict your breathing (which can be common in fibromyalgia). Lean a bolster on a block or other support (telephone books work well or you can buy a recycled yoga block here). Sit in front of the bolster with your legs in a diamond shape. Place a pillow or a rolled blanket under each outer thigh and knee, ensure that your legs are completely supported without any deep stretch or strain in your knees, legs, or hips. Lean back onto the bolster so that you are supported from the lower back to the back of the head. Rest your arms wherever is most comfortable, and breathe gently. Notice how the whole front of your body relaxes and gently opens as you inhale. According to the author of Therapeutic Yoga Kit from the Yogamatters online yoga shop, Cheri Clampett, this supported backbend is a ‘heart-opening’ pose that reinforces your desire to embrace life and not let challenges — including pain —separate you from life. Regardless of whether you agree with that or not, it is wonderfully relaxing. 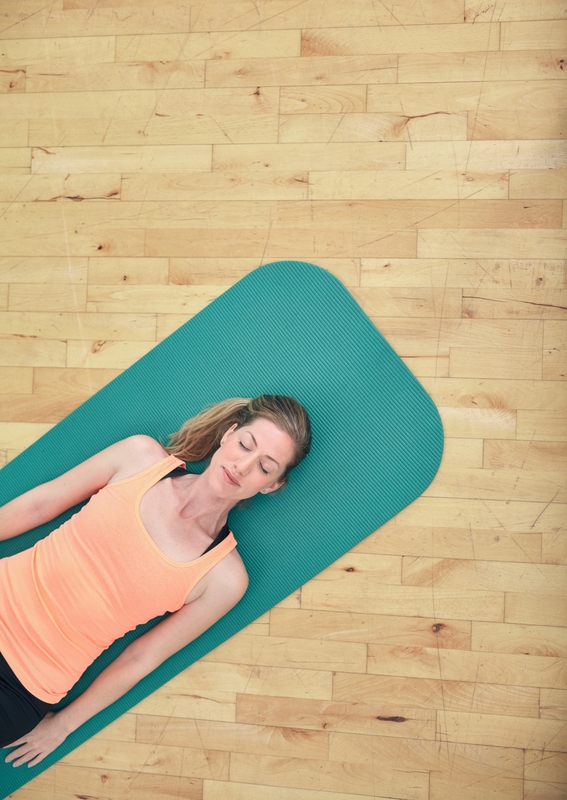 The supported backbend pose is helpful in releases chronic tension in the back and shoulders. It also improves the flow of the breath in the upper chest, rib cage, and belly. Sitting, place a bolster or a stack of pillows or blankets under slightly bent knees. Place one folded pillow or rolled blanket or towel behind you; when you lie back, it should support the upper rib cage, not the lower back. If you need extra support underneath the lower rib cage and lower back, roll a small towel to support the natural curve of the spine. Place a rolled towel or a small blanket to support your head and neck, ensuring that you are as comfortable as possible. Then relax into the pose, breathing gently and feeling the movement of your breath as you inhale and exhale. Imagine breathing in and out through your heart centre, that is the dead centre of your chest. Visualise the movement of breath from your heart to your lungs as you inhale, and from the lungs back out through the heart center as you exhale. This supported forward bend is so soothing, it’s a little like a hug, which is never a bad thing. It relaxes the hips and back, especially pain and tension in the spine. 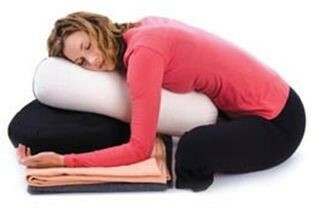 Hugging a bolster and resting your head on pillows provides a natural sense of security and comfort. Lean forward onto the support of a sofa, a chair, or a stack of pillows, blankets, or cushions. If you have a bolster, place one end in your lap and the other end on the sofa, the chair, or the stack of support. Pillows work well. Rest your head on the support. Hug it in any way that feels comfortable, gently turning your head to the side. Ensure that whether pillows or a yoga bolster, it is high enough and sturdy enough to completely support you, without creating any strain in the back or hips. If you feel a strong stretch that is uncomfortable to hold, you need more support. Your belly, chest, and back all expand and contract with each breath. Feel the movement of the whole torso as you inhale and exhale. 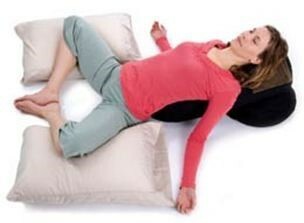 Feel your belly and chest gently press into the support of the bolster or pillows. Let the sensation of your breath deepen the sensation of being hugged. You may also like to try the Body Scan technique here, these Natural Ways to Reduce Pain, and these Pain-Relief and Coping Techniques. Beneficial exercises include low impact aerobic activities such as walking, especially in water. In fact physical therapy in water is incredibly healing and far less painful than on dry land, especially beneficial for CRPS (because of alloydic pain not being an issue in water), and fibromyalgia but can help everyone with chronic pain; swimming and gentle, restorative yoga, which has specifically been shown to help pain patients. Tai Chi is another amazingly healing form of gentle exercise that keeps the blood flowing and your body gently moving. A small study found that tai chi may help people who have fibromyalgia; they had less pain, slept better, and were able to exercise more and be more active. Although stretching is a wonderful way to keep your body conditioned, it’s also important to stretch properly before attempting any more demanding activities. Begin by gently increasing your activity levels. Take small steps toward becoming more active without exceeding your personal limits. As you are able to increase those limits, even by as little as 30 seconds in a week, which may sound teeny but is actually crucial — you do not want to flare and then be put of any movement by that flare — your symptoms and pain can become more manageable. Your mobility too can increase. You know your body best and though doing no movement, mindful or otherwise is not advised, always take it very gently and slowly. However, it is important to stress that the critical voice of loved-ones who may think you are not exercising enough is irrelevant if they do not understand chronic pain, as harsh as that may sound. In healthy bodies, when you exercise in a normal way, any discomfort from that exercise decreases, you reach a plateau that those with centralised pain do not attain. Our sympathetic nervous system is stuck on the ‘on’ position, which is another fine reason why the above offering is healing for those of us with such pain precisely because it is calming to the nervous system. Low-impact activities are often far better suited to pain patients, especially in water. Work out your base level using pacing, which is vital for every activity when you live in pain. Never exceed your limitations, even if that means your daily ‘exercise’ is a minute long. Increase how long you exercise for very, very slowly. Remember to warm-up and stretch properly before attempting any exercise activity. Do not exercise when flared-up. Your body needs to calm down and recover. If you are learning with an instructor, always check the qualifications of your instructor and be sure to start of very slowly. One on one sessions are preferable if possible as the instructor can teach completely aware of your needs and pace. If you would like to learn at home and for far less funds, buy this Therapeutic Yoga Kit. It’s absolutely fantastic and gives you everything you need to learn, save for the bolsters and mat but — as I’ve discovered — makeshift versions from rolled up towels and blankets, pillows and cushions are equally good. Take it slow. Breath deeply. If you miss a day, be kind to yourself. Simply pick-up again the next day (if not flared-up), without drama, without stress. Excellent and useful tips!! Keeping your mobility and flexibility is so important to manage most pain conditions, yet so hard to actually do. 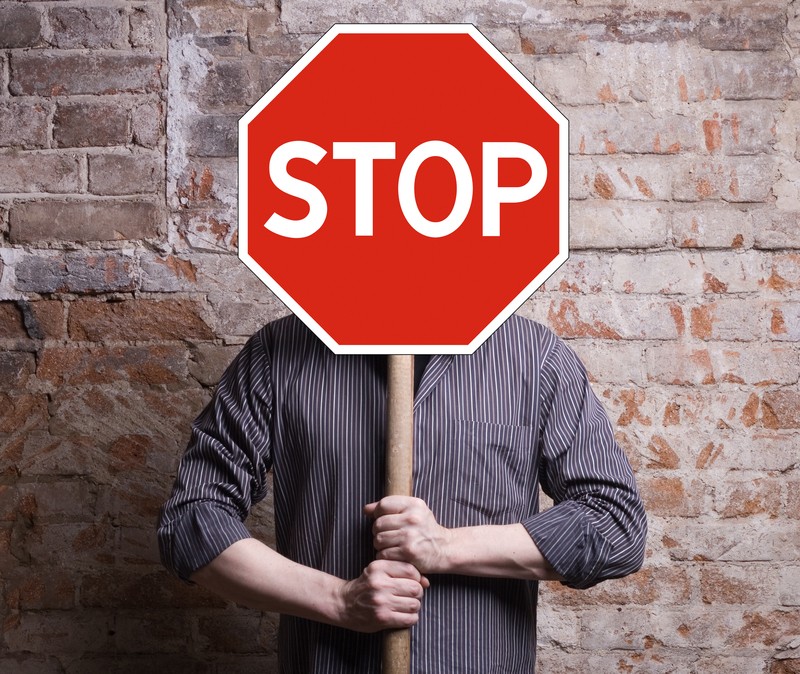 The “no pain no gain” mentality in many healthy fitness instructors certainly doesn’t help. I’ve found that regaining strength and stamina through the ups and downs of chronic illness can take months or even years, but gently moving your body does make life better and less painful. Thank you again for sharing such helpful advice! Thanks Princess, just what I was thinking about. I always overdo it but that looks interesting and I’ve contacted the teacher that I’ve been to for pilates to see if she could come up with some exercises for me. I thought I wouldn’t be able to exercise again due to severe chronic pain, but you have shown me a way that means I can do something to help myself, both physically and emotionally. For many years I was told to exercise but when I tried the pain got worse. It was only when my rheumatologist sent me to a physio therapist with a diploma in Manipulative therapy. With his help I started doing stretching to strengthen my core. I set an alarm and did 5 minutes every 2 hours. I notice the change within a week. I also did stretching in the hydro therapy pool 4 times a week. Then I progressed to swimming in a heated pool. I used a mask and snorkel as turning my neck wasn’t easy. Slowly I have gotten rid of the snorkel and as of yesterday I can swim 1.5 km in the normal (slightly heated) lane pool. I swim 3 mornings a week and I have started to try to introduce more stretching on land. My goal is to do a mini triathlon in 4 months time. My success I can say is from starting small and doing it every few hours. Also I didn’t push through the pain. As I got stronger I was able to increase what I did. With the chronic pain in most of my body, if I can do it, anyone can. I have struggled with chronic pain due to a collapsed disc L5-S1, Degenerative Disc Disease, Arthritis in both knees, I need left knee replacement / my Dr said I am too young to do.I am 46 yrs old. Also, to top it all off, a young man of 19 years old, ran a red light going 60-70mph, & hit another vehicle, plus mine, as a result I have 4 bulging discs in my cervical (neck) spine. 14 months ago, I had to accept my only option. After exhausting all other treatments, including chiropractic care, and 7 spinal injections, I had to have surgery, disectomy 2 of the discs, & replacing my discs with cadaver bone discs plus Titanium plates & screws in my neck. I went to a psychologist in effort to accept the surgery, as I do not believe in placing something ‘foreign’ in my body. I had no choice. My left arm & hand were loosing strength fast & numb most of the time, I was loosing all mobility in my left arm & hand. Plus the bottom of both feet were numb, & swollen ankles /feet. Following surgery, I had some relief in my left arm /hand & relief in my left foot numbness. Now my right foot is still partially numb & 3 out of 5 toes are still numb. My pain though, is pure agony, without relief. As a result of all of this, I became addicted to oral narcotics, & literally was a zombie. I feel as though I fell into an endless, cold, lonely black hole. I withdrew from everyone I love. My beloved Momma, (for whom I was her primary care giver during 17 years after she had a stroke) died 3 weeks before the vehicle accident, which I thought, I wanted to die too. I did not want to live without her in my life. She died in my arms, in my home.. On Christmas night, approx. 20 minutes after midnight. Incredible. . I truly believe she waited until after midnight, so it wouldn’t be the 25th ..
At this point, I’ve gotten off the prescription narcotics, it’s been pure hell. For lack of a better way to put it. But, I want my life back. I am always in pain, 24/7 even with the narcotics. I’ve been trying to educate myself, for better ways, Natural Healing/pain relief/treatments. I didn’t realize support even existed. 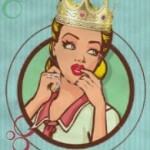 THANK YOU PRINCESS! I realize now, I am not alone. There are alternatives. There is hope. Although my pain is excruciating. I truly pray to find relief somehow. Hi Princess, this is the first time I’ve come across this article, as I only recently found your website (after I finally found some strength to begin to try & accept my pain & bodies limitations were not caused by anything that could be treated….gosh, that’s even hard to type). I have a very deep rooted belief that pain = damage, and this is the hardest part for me with my condition, and what has lead to my exceptional debilitation now. Thank you for these ideas Princesss – I still heard the voice in my head scoff at the suggestions (any tips on toning that down would be appreciated! ), but I am trying my best to get past that point to actually trying to help myself, so my question today is, do these poses have to be done on the floor? It’s hard to tell with the pictures as there’s no background, but I can’t imagine how to do some of these on a soft mattress – but I couldn’t imagine getting down to the floor either! It’s completely natural, Lily, we’re taught that pain = damage but now know that the nervous system can create a state of chronic pain without any physical damage, instead a painful, vicious loop. It’s wonderful you’re being positive and proactive. It’s a process though, be kind to yourself too. Yes, you can do these on your bed. These gentle poses are actually what helped me regain some mobility while bedridden. If too soft for you, try adding blankets or towels. If you have a little assistance, obviously that will help but experiment with pillows, rolled towels are good too, or buy yoga bolsters. I’d definitely recommend the Therapeutic Yoga Kit Some are gentler than others, lots more info here too. Always listen to your body, slow and gentle is better than trying to do too much. Re: self-talk & thoughts, try these psychology tools and there’s more tips in this post and this one. Thank you for your kind comment. Wishing you healing and many more good days than bad. ?